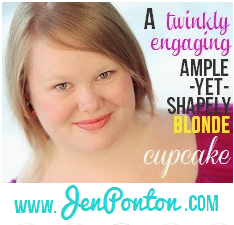 I've known Jen Ponton for several years now, and have always been amazed at her endless enthusiasm and energy. She is the quintessential "Force of Nature". Actor, producer, coach, and all-round get-it-done creative artist, Jen has been around the block, facing all the obstacles that we actors face, overcoming them along the way, and helping others do the same. She graciously agreed to answer five questions for this Actors Insite post, in which I hope you will find some inspiration. Jen Ponton is a New York-based actress-producer (30 Rock, Unbreakable Kimmy Schmidt, Deadbeat, Blue Bloods, The Good Wife, The Slap, and more) who stars in and co-created the web series The Weirdos Next Door (theweirdosnextdoor.com). She is also a business coach for actors at Actors Accountability Salon (actorsalon.com) as well as marketing and design for actors at her company, Beyond Postcards (gobeyondthepostcard.com). Q: Please describe how your Salon of actors works and how you came about setting it up? Jen: I am one of a few coaches in New York that work for Brian Patacca, who founded Actor Salon. A friend recommended me to him, since I'd been coaching privately for a few years, and we really connected. Salon is a weekly accountability roundtable, a trusted circle of peers with whom you share your goals and you're coached and supported through action plans to achieve them. You're also held accountable weekly for the tasks that are part of those action plans, to keep you on track. Q: Working with actors for a few years now, what do you see as their biggest roadblocks to getting traction in their careers. Jen: Limiting beliefs--"I don't have enough credits, who am I to deserve this, who wants to see me anyway, I'm just wasting my time and energy"--those are killers. The belief that you aren't enough and don't bring something very worthwhile to the table is so deep and the #1 career-killer. Q: Are there solutions to these problems? Jen: Absolutely! But they take big, internal work. Spiritual practice, meditation, affirmations; whatever connects you to your inner knowingness and sense of purpose and self-love. It takes constant awareness and being able to discern which voice is yours and which voices are internal gremlins trying to dismantle your progress. Couple that internal work with taking big, bold, on-purpose action and you have a cycle of tremendous success--do the thing, feel accomplished, then do it again. Success begets success. Q: We all know the stories of Lena Dunham and Amy Schumer, and how they didn't wait for someone to put them in something, they put themselves in projects they themselves created. Tell me what inspired you to create your own content and how it’s helped you grow as an artist. Jen: In perhaps the shortest way I've ever told it, I found someone whose creative drumbeat matched mine. My co-creators longed for the brilliance of Jim Henson and his work, as well as the retro, family-centric entertainment of TGIF. We created the world of The Weirdos Next Door and it has been such a joyful outlet for me. The biggest difference it makes as an actor is--there's no more bummed out, down-time; those periods of doubt where you're not doing, not booking and then wondering what you're doing wrong, versus knowing that every tide ebbs and flows. I can go into my WND world whenever I want, write something that makes me smile from ear to ear, then make it with people who have become family to me. And while I do have high goals for the future of the series, all it ever needs to do is be this happy oasis for us. Q: Anyone who’s spent ten minutes working with actors knows that there is a fair amount of “wishful thinking” going on when they describe their career goals and how they plan to go about accomplishing them. Are the “realists”, like yourself, born that way, or is there a learning curve that all actors can put themselves on? Jen: I have always been a do-er, and I think the learning curve is learning how good the doing feels. Dreaming and wishful thinking feels so great because it feels possible. The learning curve comes from tailoring actions to match where you're at. For instance, maybe you can't go to the Oscars and wear your ballgown yet; but you CAN find a reputable NY film festival, connect with filmmakers and network on their step and repeats. And enough of doing that and feeling good, then taking more smart action as a result of it (staying in touch with filmmakers, knowing their projects and when they're casting, throwing your hat in the ring, getting seen, getting cast)--you've now created your own tremendous opportunities thanks to your wishful thinking.